What is an ez[POP] fabric grid? Lighttools ez[POP] fabric grids are an evolution of the industry standard egg crate fabric grid. They feature a flexible internal aluminum structure, similar to the popular “snap” bracelets of the 90’s. The internal structure ensures that the cells of the grid are taught and do not sag or cause a “belly,” sometimes noticeable on larger lightbanks. Another benefit of an ez[POP] grid is the addition of shape and structure to the lightbank. Where larger (and older) lightbanks can exhibit a degree of sagging, adding an ez[POP] grid gives precise shape to the front of the lightbank, resulting in increased efficiency and easier aiming of the bank. ez[POP] grids are available in a 40-degree beam angles for Chimera Small, Medium and Large rectangular banks, as well as Small, Medium, and Large Strips. 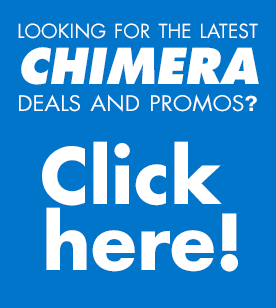 https://chimeralighting.com/wp-content/uploads/2017/08/chimera-lighting-logo-copy.png 0 0 Chimera Lighting https://chimeralighting.com/wp-content/uploads/2017/08/chimera-lighting-logo-copy.png Chimera Lighting2017-02-21 08:45:002017-07-03 13:36:54What is an ez[POP] fabric grid? What lightbanks can I put fabric barn doors on? Fabric Barn Doors vs. Grids?